Stocks headed lower last week, with the S&P 500 losing 0.67 percent. 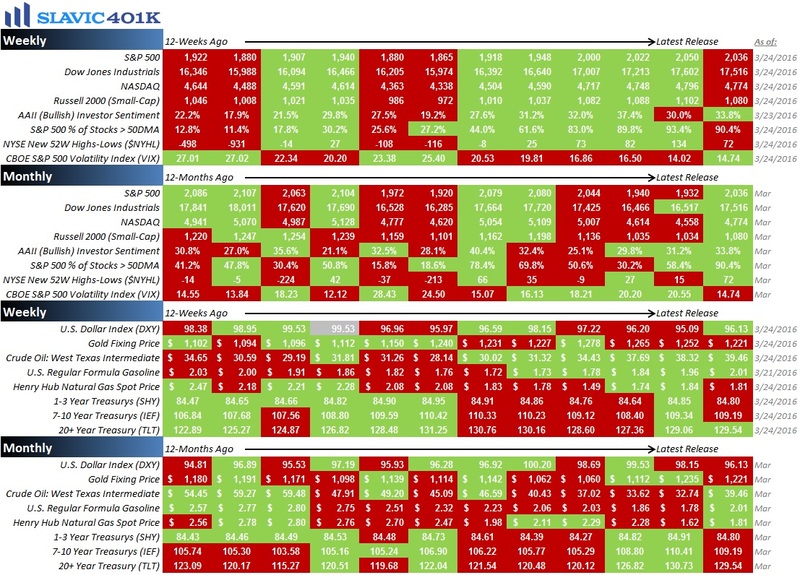 This slight pullback was not too surprising following five consecutive week-over-week gains, and it left the benchmark index down only 0.39 percent 2016-to-date and just 4.46 percent below the record high hit in May of last year. Whether or not the recent uptrend in the stock market will persist in the second quarter remains uncertain given the various potential headwinds for equities in Q2. For example, uncertainty surrounding China, global monetary policy, a British exit (Brexit) from the European Union, and the price of oil could all weigh on risk assets in the near-future. 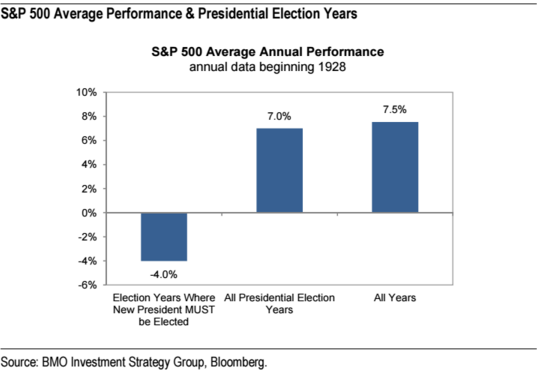 Even the upcoming changes to the political landscape in America may be on traders’ minds over the next several months since historically the stock market tends to underperform during a Presidential election year that does not include an incumbent seeking reelection. For retirement investors, though, persistent and long-term participation in the market is what matters. This can be enhanced by dollar-cost averaging which aims to turn pullbacks (like what occurred earlier this year) into opportunities. As always, we are here to help with any questions you may have. 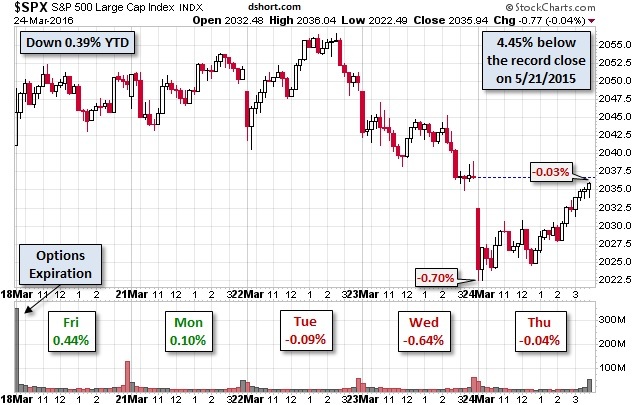 The price action was choppy last week and trading volumes were very light, typical ahead of a long holiday weekend. Incoming reports on the domestic economy were mixed but investors appeared to pay little attention to the data and instead focused largely on the deluge of commentary from officials at the Federal Reserve (Fed). Indeed, five regional Fed presidents gave speeches last week, a common occurrence following a big announcement on monetary policy. The uptick in “Fed speak” is intended to provide the markets with more clarity on officials’ current views of the economy and policy plans. 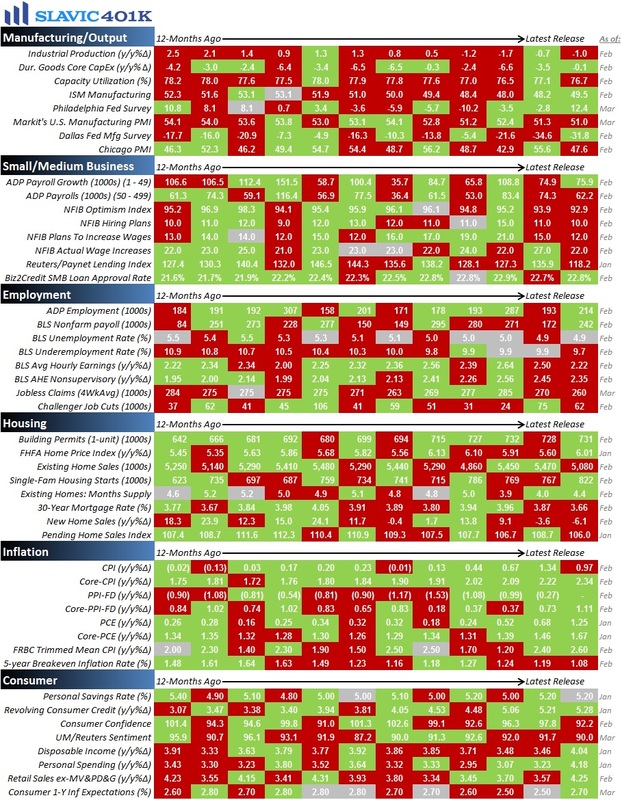 However, there were many conflicting signals in last week’s Fed commentary which in all likelihood only added to investors’ overall confusion. For example, Chicago Fed president Charles Evans in a relatively dovish speech last week stressed that the Fed should continue its “wait-and-see” approach to policy and ensure that “economic growth continues, labor markets strengthen further, wages begin to increase more, and all of this supports an eventual increase in currently low inflation, right back up to the 2 percent objective.” On the other hand, St. Louis Fed president James Bullard last week said that officials should consider raising interest rates again as early as the next Federal Open Market Committee (FOMC) meeting in April. Bullard also criticized the committee’s projections for the path of interest rates and added that “I think we are going to end up overshooting on inflation and the natural rate of unemployment.” If this turns out to be correct then it may set the stage for a more forceful tightening period at some point in the future. To recap what we learned about the U.S. economy last week, the positives included that the number of Americans making first-time claims for unemployment benefits held near historically low levels, gauges of both national and regional manufacturing activity improved, activity in the larger services sector rebounded, albeit only slightly, and gross domestic product (GDP) growth in the fourth quarter of 2015 was revised higher. As for the negatives, mortgage and refinance applications slid, existing home sales fell, property values continued to rise faster than wages, and durable goods orders declined. This week the pace of economic data picks up with lots of important reports on housing, manufacturing, consumers, and employment scheduled to be released, along with what could be a market-moving March job report from the Bureau of Labor Statistics (BLS) due out this Friday.